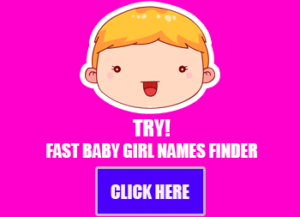 This is the website of My Girly Names. From time to time we may use content from forum postings, comments on blog posts, bulletin boards, or public chat rooms (“User Submissions”) in our blog, newsletter, books, articles, and other works on an anonymous basis For clarity, you retain all of your ownership rights in your User Submissions. However, by submitting User Submissions to Mygirlynames.com, you hereby grant Mygirlynames a worldwide, non-exclusive, royalty-free, sub licensable and transferable license to use, reproduce, distribute, prepare derivative works of, display, and perform the User Submissions in connection with the Mygirlynames.com Website and related properties. We use third-party advertising companies to serve ads and collect information when users visit our site. These companies may use information (not including your name, address, email address or telephone number) about your visits to this and other websites in order to provide advertisements on our site, other websites and other forms of media about goods and services of interest to you. Like many other Web sites, www.mygirlynames.com makes use of log files. The information inside the log files includes internet protocol ( IP ) addresses, type of browser, Internet Service Provider ( ISP ), date/time stamp, referring/exit pages, and number of clicks to analyze trends, administer the site, track user’s movement around the site, and gather demographic information. IP addresses, and other such information are not linked to any information that is personally identifiable. www.mygirlynames.com has no access to or control over these cookies that are used by third-party advertisers. We do collect email only when volunteered by our users. If you do not want to receive e-mail from us in the future, please let us know by sending us e-mail at the above address.